O Lola V A Your browser does not support html5. Please upgrade! 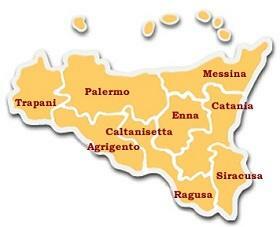 Enna Province is the heart of Sicily, a land that embodies all the features making Sicily unique. You can walk among the ruins of past epochs and still feel the same life throbbing under the same blue skies. Or you could stroll in the woods and discover enchanted places, taste the good cuisine and still find the flavors of old times. Last but not least, you could wander around the country fairs and learn the traditions of its people. 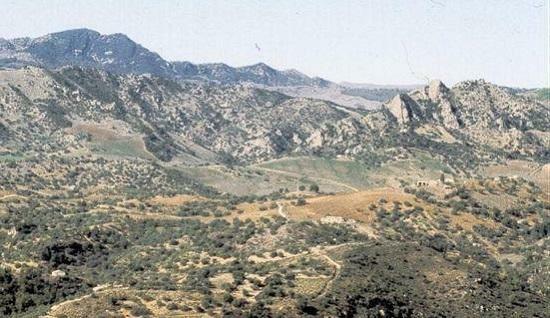 Woods and pine trees, oaks and beech trees, precious oases of willows, elms and poplars color the uplands of a broad valley where the famous Sicilian oranges and lemons grow. Big and small water basins interrupt the expanse of green, creating an enchanting scenery with their intense blue hues of the water lit up by sunlight. 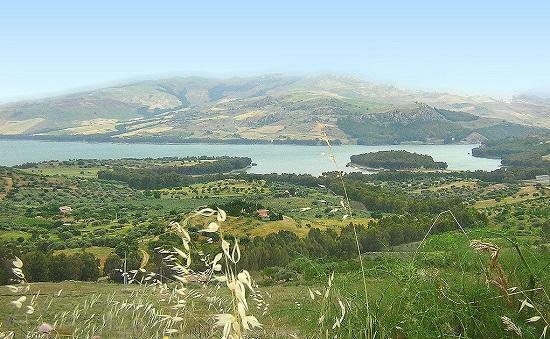 Enna is called the “Lake province”, the only one among all the Sicilian provinces that does not have an outlet to the sea, but it is surely one with the greatest number of lacustrine basins. 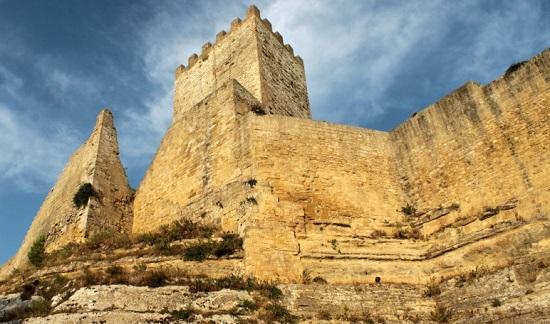 Traces of ancient rulers are scattered all over the territory as evidenced by the archeological diggings that testify to the Greek-Roman period, and castles and medieval towns reveal the passage of Normans, Swabians and Aragonese. 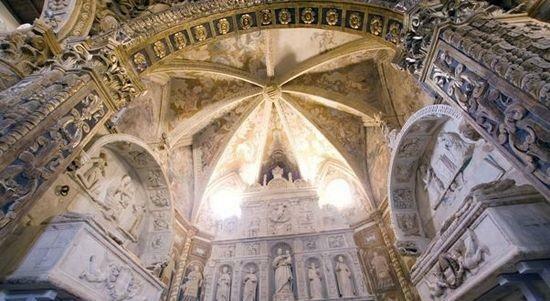 Precious architecture reveals the expansion of the Baroque styles from the eastern coast to the internal lands. This land is generous also in terms of flavors, and offers typical specialties that reflect the love and hard work of man. 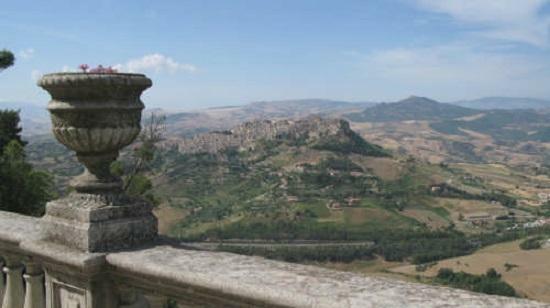 If you wish to travel through the pearl of the Mediterranean do not forego a stopover in Italy’s viewpoint, the “Belvedere” upon which” clouds fly and the sunsets shine” (Guido Piovene). 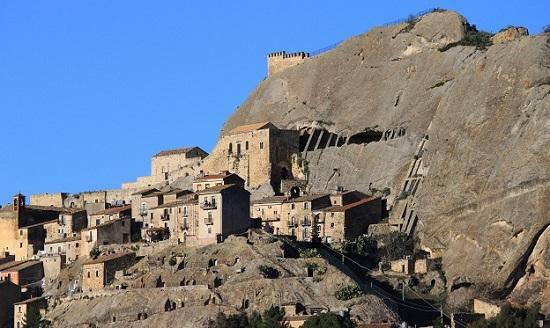 Remarkable historical memoirs, which begin their narration starting from the Roman period, and the unbelievable colours of nature make Piazza Armerina the ideal starting point for an exploration of the Enna province. The Cathedral, designed by Orazio Torriani can be sighted from afar, its majestic framework and dome rising up towards the infinite skies. Though its façade is sober and refined, it displays a finely decorated portal, flanked on each side by three columns each, leading to two wide staircases. 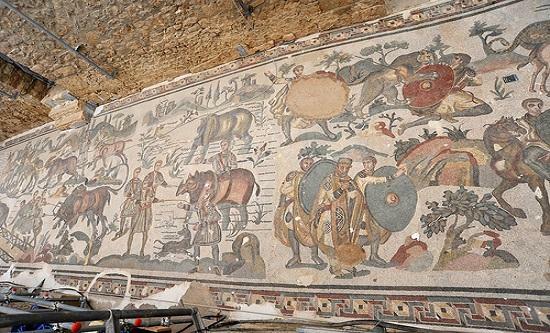 In its central square, you will see forty, splendid, perfectly preserved mosaics embellishing the grand cathedral composed of various venues opening out around the main courtyard, surrounded by eighteen marble columns or peristyles. . 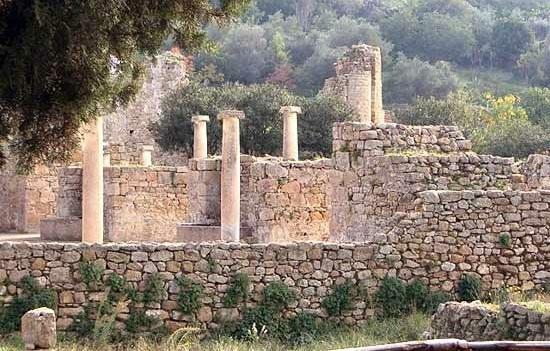 The Villa is considered the greatest example of museum art of the Roman era, and has been proclaimed a World Heritage Site. The place exerts a fascination that attracts and is irresistible, but also the ancient villages covet interesting surprises within. 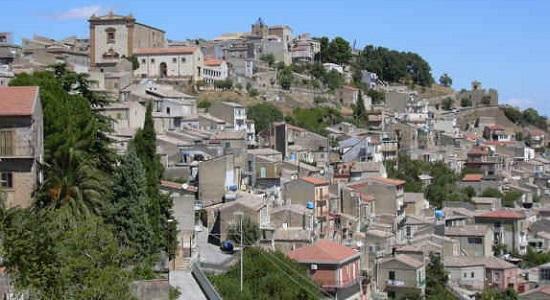 Not far away is Aidone, an attractive village set on a hill where the narrow streets, small stairs and courtyards design an ancient urban fabric. 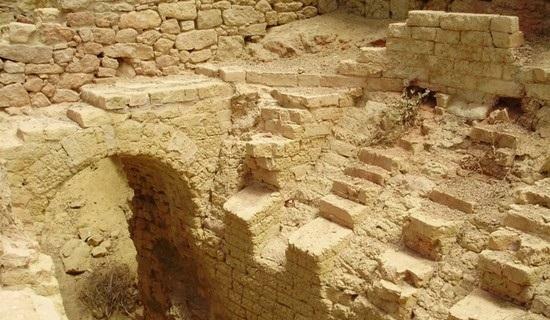 In its territory you will find Morgantina, one of the most important archeological excavation sites. 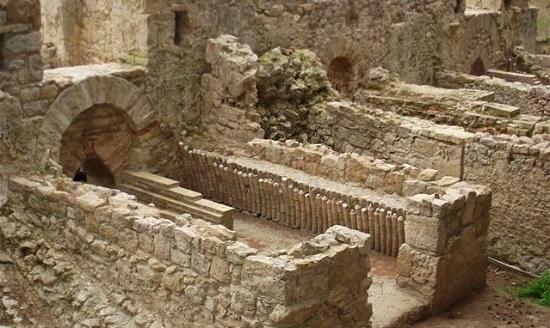 The remains of a theatre, residential buildings and farmhouses, all arranged around the agorà (the central square of Greek cities or polis) tell of the Hellenic period in these lands. 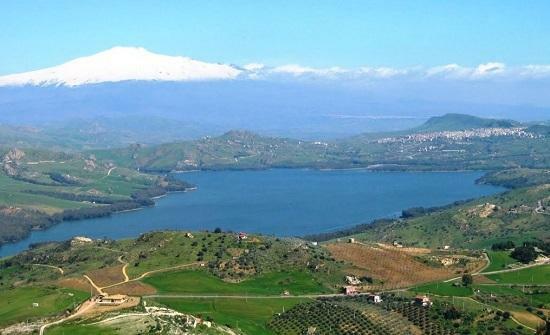 Among the bright yellow hues of wheat, greenness of the cultivation and redness of poppy flowers, you enter into a marvelous landscape of Lake Pergusa, where the purifying effect of microorganisms periodically color the waters with reddish hues. 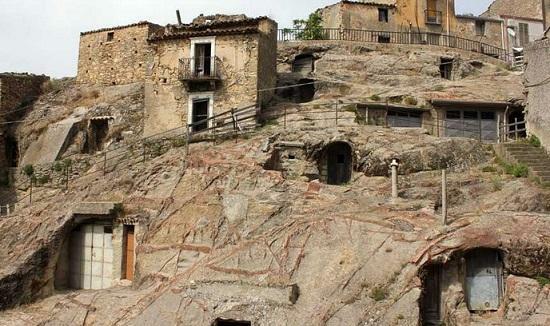 In the higher section of the province you will see picturesque villages, very typical because of their narrow alleys and streets which make up the more ancient part and also the small gems of art that you can admire there. 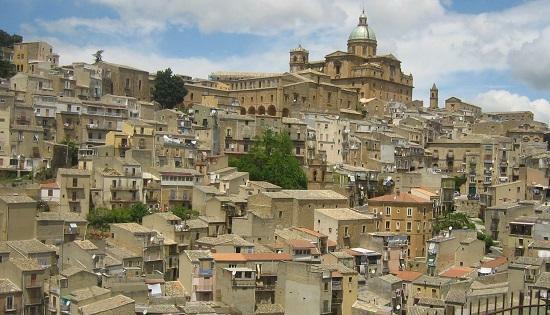 At Leonforte, the architectonic value is linked to the name Branciforti. 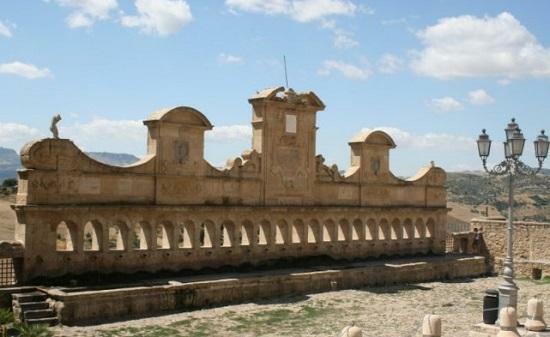 The Granfonte fountain with water bubbling from its 24 spouts, and the Palazzo Branciforti are worth visiting. 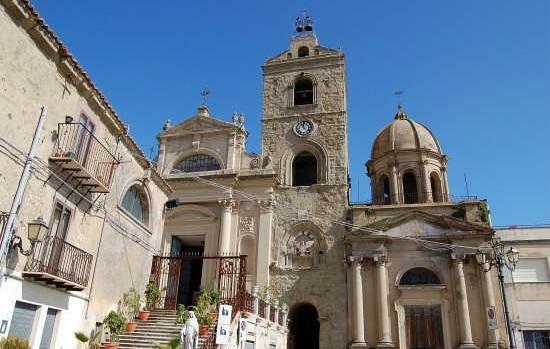 You will find the Mother Church of Assoro very interesting, along with the imposing Sperlinga Castle with the houses hanging on to the rocks along with Cathedrals of Nicosia and Troina. 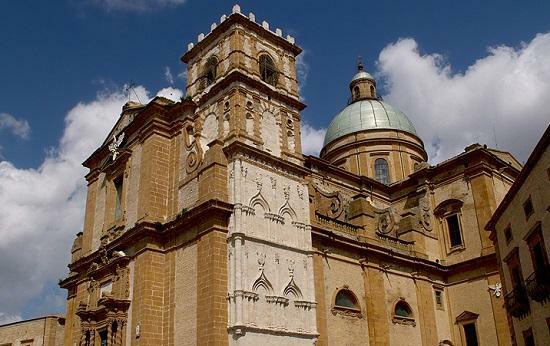 The city of Enna is located in the centre of its territory, dominated from above by the Lombardia Castle and its stately towers from which you can enjoy a breathtaking view. Queen Eleonora of Aragon had set the first brick for the Cathedral, rebuilt after the fire that destroyed it almost completely. From outside you can see the three overlapping bodies of the structure, as they rise majestically. The three interior naves are marked by two colonnades that create a harmonious contrast with the clear stone of the overhanging arches. Surmounted by a 17th-century wood ceiling, frescoes, sculptures and stucco work form part of the sumptuous interior decoration. 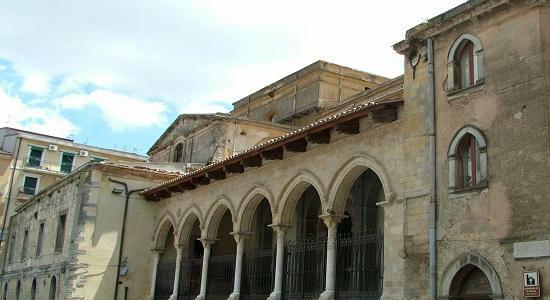 The capital is also the seat of the Archeological Museum of Palazzo Variano with its rich collection of findings which narrate the history of the Etna province from the Brass Age to the Middle Ages, and the Alessi Museum which displays the works of art and archeological findings. The thick woods and lakes characterizing this land are a great gift for those who wish to spend a holiday in the midst of nature. Trekking, easy walks, horse rides or mountain biking are the best ways to immerse yourself in these uncontaminated landscapes, with the possibility of relaxing on the green fields that mark out the lacustrine banks. 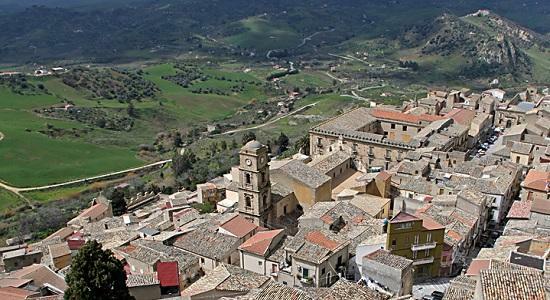 The Altesina and Scalpello mountains and the Giangagliano stream offer interesting naturalistic itineraries penetrating into the rich vegetation that spreads out in the midst of eucalyptus trees, pines, oaks and beech trees. 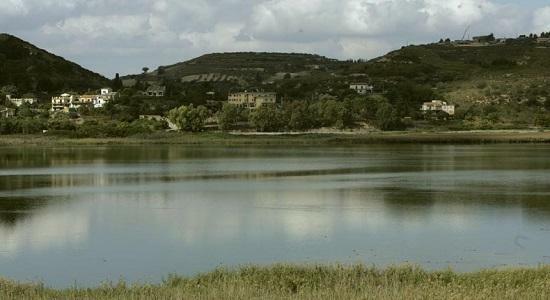 The Lake of Pergusa is a rich bird fauna area. Herons, coots, wild ducks, buzzards and blackbirds attract the attention of the most passionate bird watchers. The lake ambience of Olivo, Pozzillo and Ogliastro, become attractive themes especially towards the late afternoon for those who love taking a snapshot of sunsets. 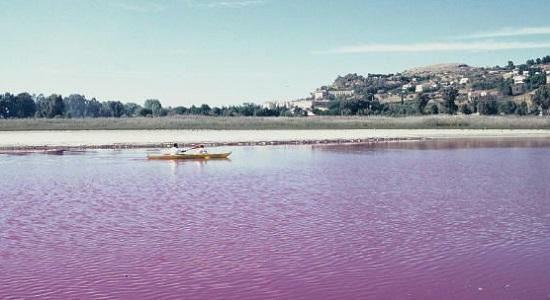 Periodically, the water, due to a natural phenomenon (synergy) between some of the microscopic organisms that live in it, changes to a purple red giving the landscape a very special feature. If you are a motorsports fan, the Pergusa Autodrome is what makes for you an enjoyable place. Rallies and historical automobile events find the right atmosphere in this environment. 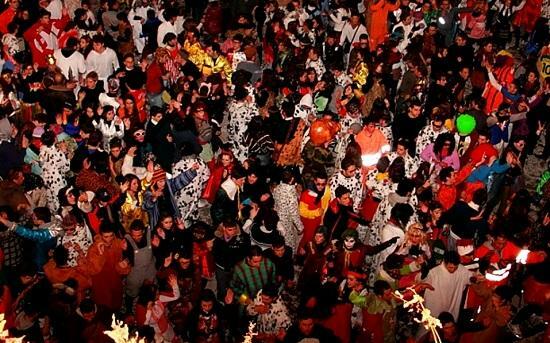 Enna is also the land of festivals, country fairs and historical commemorations. Its ancient tradition never fails to speak of them in many ways. 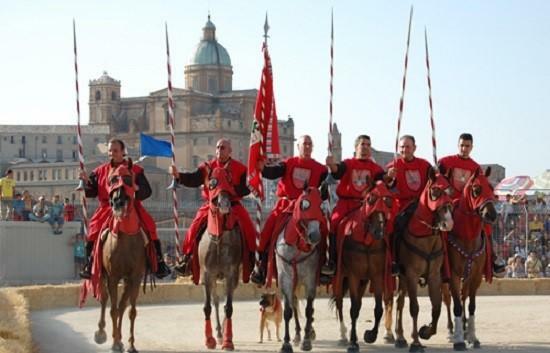 Nicosia is the city where the Gara del Palio competition is held, where all the confraternities of the 12 quarters of the city contend for a trophy. The Standard of Our Lady of Victory is the coveted prize that the four medieval quarters of Piazza Armerina compete for during the Palio dei Normanni. Leonforte has dedicated special attention to its specialties, and the “Peach Fair and its typical products” having reached its 28th Edition is proof of its popularity. Besides rich food tasting activities, the event highlights shows, folklorist music groups, street jugglers and actors, and parades. If you visit the town during the right period you will not miss the Regabulto Carnival, a festival of colors, masked characters and music. Local food and wine characterized by simple dishes but very rich flavors, reflect a prevalently agricultural land dedicated to sheep farming. Vegetables, oranges and lemons, eggs and cheese, so wisely blended together, appear in many local recipes. Pasta with “macco” (mashed broad beans), cauliflower or broccoli, new beans, “carrettiera” style or aubergines and tomatoes, make up pasta and the products of the land, a simple but perfect alliance even for the choosiest taste buds. Wild asparagus are really special, and so are the slightly bitter chicory and wild fennel which give a gracious flair to many recipes. Baked or grilled pork, lamb and goat meat, and the strong cheeses among which the “Piacentino” and the cottage cheese stand out, complete the Ennese menu, not to mention the fantastic biscuits like the “vucciddati,” stuffed with dried figs, honey, fruit candy and roasted almonds, or the “cannateddi” very typical of Easter celebrations where abundant meals are crowned with Sicilian pastry, accompanied – if you wish – by a little glass of limoncello, finocchietto or noceto. Sources : Minister for Regional Affairs-Sport & Tourism.